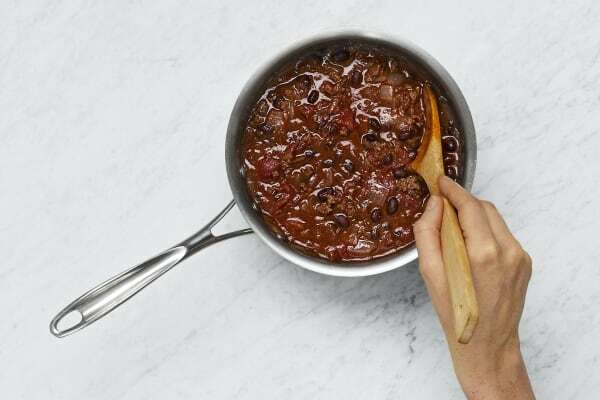 A good chili has well-seasoned beef, creamy beans, and tender vegetables. 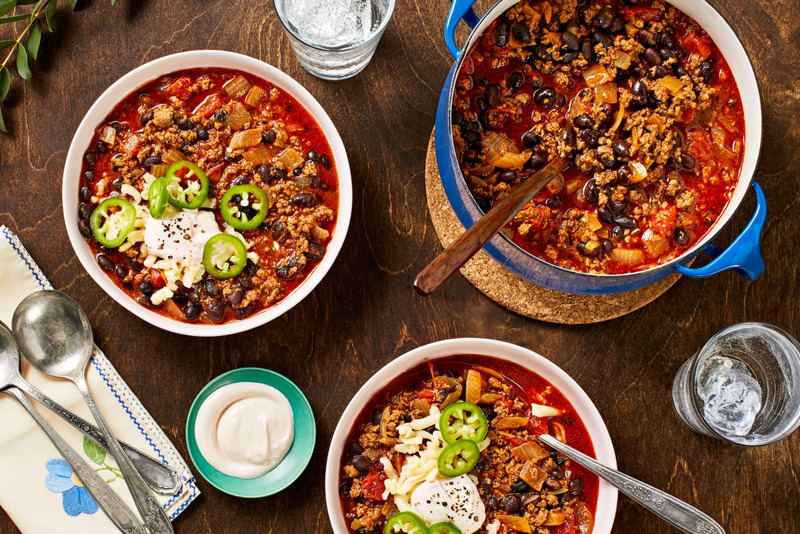 A great chili, however, has all that and comes together in one pot in under an hour. This chili is one of the greats. And once you take a bite, we can guarantee you’ll agree. Not to mention, these beefy bowls are adorned with some delicious fixings: tangy hot sauce crema and melty Monterey Jack. If you’ve got some on hand, why not crumble up some tortilla chips and sprinkle them on top for a crunch? Heat a large drizzle of oil in a large pot over medium-high heat. 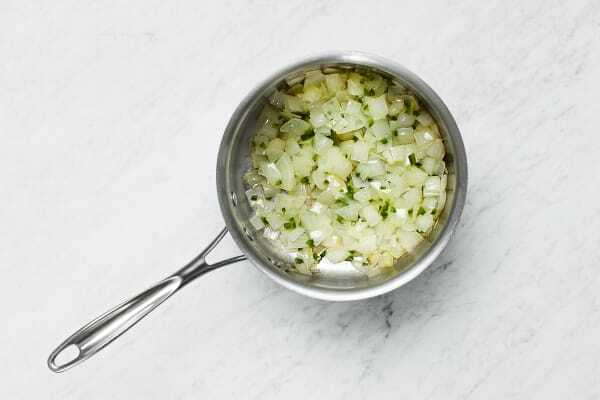 Add onions and minced jalapeño; season with salt and pepper. Cook until softened, 5-7 minutes. Add beef, Mexican Spice, Southwest Spice, salt, and pepper. 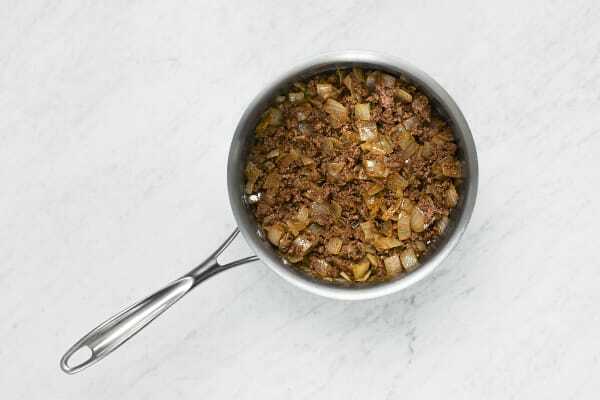 Cook, breaking up meat into pieces, until browned, 5-7 minutes. Stir tomato paste into pot. Cook, stirring, until dark red and combined, 1-2 minutes. Add tomatoes, black beans, stock concentrates, ¼ cup water, salt, and pepper. Stir to combine. Bring to a simmer and cook until thickened, about 10 minutes. Turn off heat. Taste and season with salt and pepper. 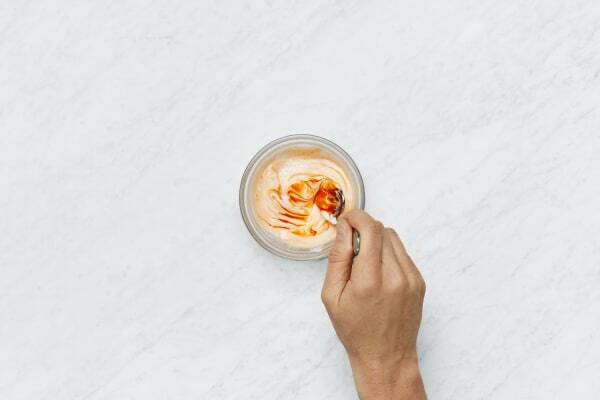 In a small bowl, combine sour cream, hot sauce (to taste), and 1 TBSP water. Season with salt and pepper. 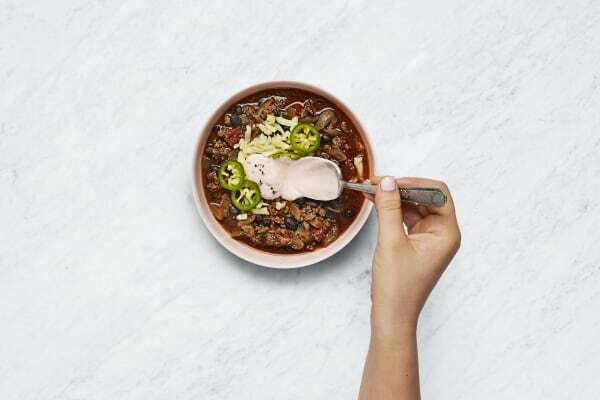 Divide chili among bowls. 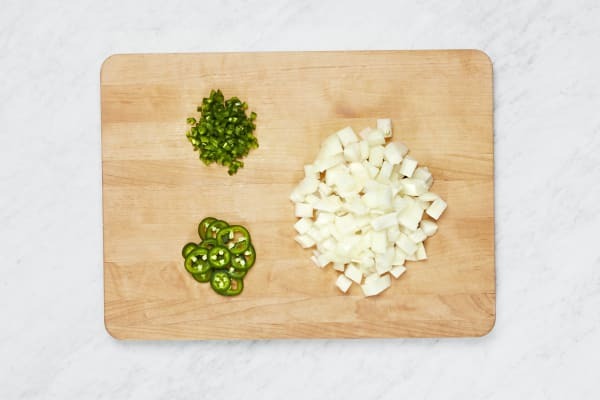 Top with cheese, crema, and as much sliced jalapeño as you like. Drizzle with remaining hot sauce, if desired.